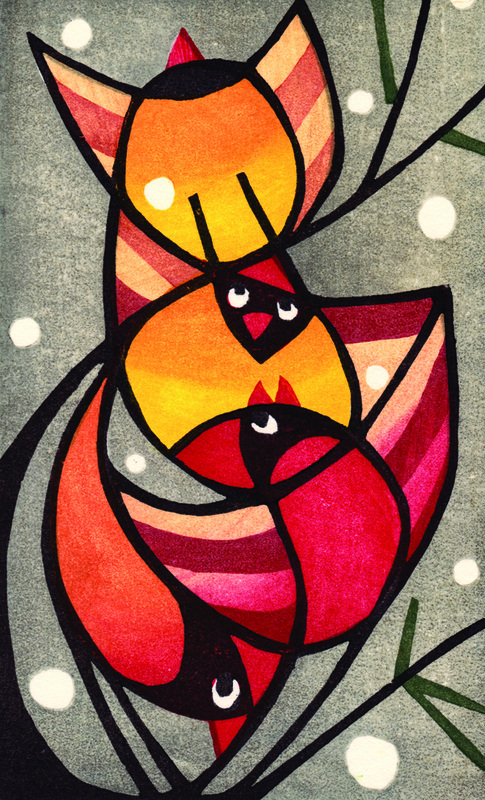 The Alternatives Whitinsville location is showcasing “The Art of Printmaking” from January 8 to February 26, 2016. The opening reception is Friday, January 8th from 4-7:30pm. It will feature live demonstrations, wine and cheese, and discussion with the artists. The printmaking techniques showcased include woodcut, engraving, etching, collagraphy, lithography, monoprint, and even some experimental techniques. The image shown is “Stacked Cards” by artist Lunita Shimizu. The Alternatives gallery is at 50 Douglas Road, Whitinsville, MA.